Restaurant Gary Danko, a fine-dining restaurant featuring local, fresh ingredients prepared to perfection, is in the Fisherman’s Wharf neighborhood of San Francisco. It is celebrating its 20th anniversary this year. “You don’t just open a great restaurant,” say Chef Danko, “it’s a constant work in progress.” Restaurant Gary Danko has received numerous awards over the years including the James Beard Awards for Best New Restaurant in 2000 and Outstanding Service 2006. Chef Danko earned Chef of the Year accolades from San Francisco magazine in 2000. 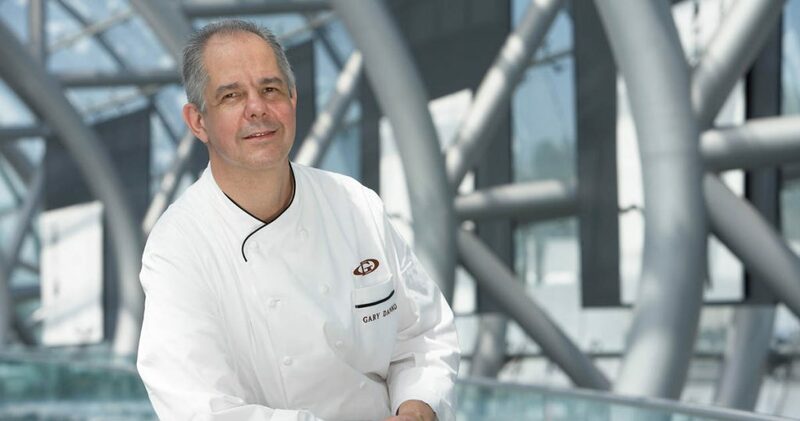 Wine Spectator has recognized Restaurant Gary Danko with its Grand Award since 2001. The restaurant has held a one-star Michelin Guide since 2007, earned a four diamonds rating from Forbes Travel Guide, five diamonds from AAA/CAA, and, in 2002, received the prestigious Relais & Châteaux designation. Chef Danko moved to Waitsfield, VT to be the chef at Tucker Hill Inn. It was here Chef Danko developed his creative and distinctive style. Enthralled with the fresh and flavorful local butter, cheeses, poultry, and produce, Chef began to change his menu nightly, an uncommon practice at the time. He returned to New York and enrolled in Madeleine Kamman’s class. She became his mentor and the two collaborated for many years. “She never let things rest at good enough,” says Danko, “and she never stopped learning or forging on. Chef Danko became the executive chef of Beringer Vineyard, and from there went on to be executive chef at Chateau Soverain. In 1992, he moved to the Ritz-Carlton, San Francisco as the executive chef of the Dining Room. It was here that Chef Danko received the James Beard Foundation Award as Best Chef—California. Looking back at his education at the CIA, Chef Danko says, “You must first have the passion for what you do. Learn the absolute basics and then practice them, perfect them, and expand on them. Take your time in achieving your final goals and, in so doing, you will get the broadest range of experiences in all areas relating to your career. Chef Danko majored in culinary arts while attending The Culinary Institute of America in Hyde Park, NY. 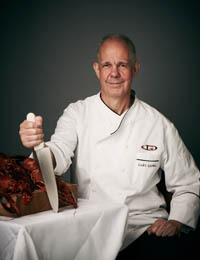 He is the owner and executive chef of Restaurant Gary Danko in San Francisco, CA.